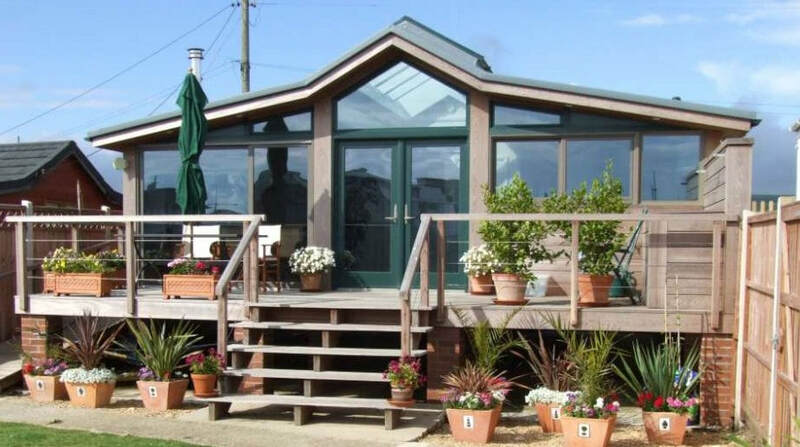 This is a replacement chalet. The original was built in the 1930s and had fallen into disrepair. The new chalet is timber framed and clad in hardwood, and is raised above ground level to avoid flooding. 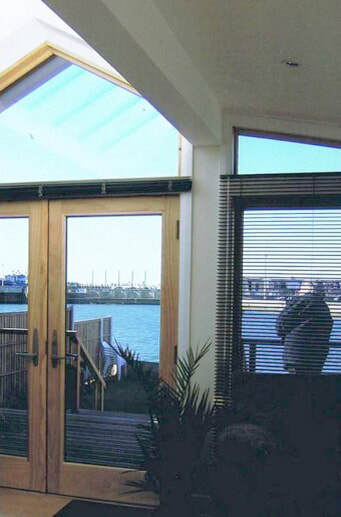 The glazed kitchen/living area over looks the harbour, and the two bedrooms at the rear overlook open fields. There is a central glazed ridge-light over the living area.